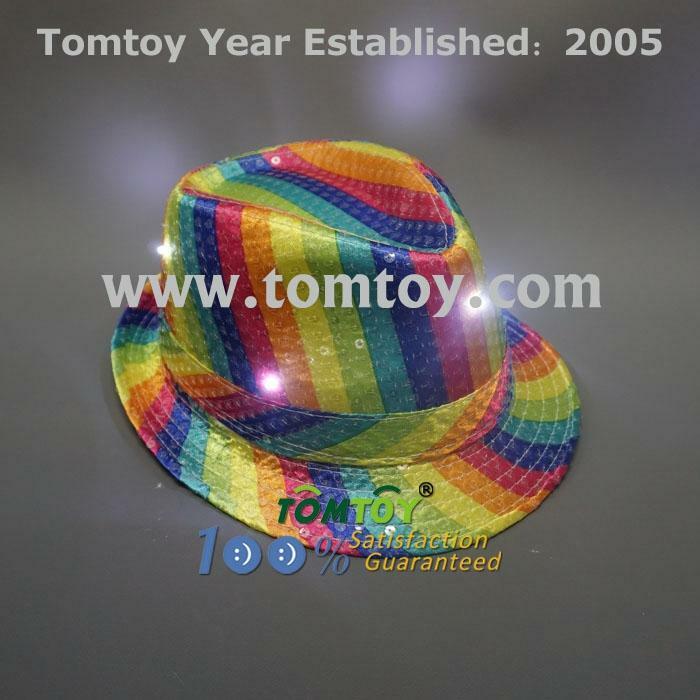 1.To activate the LEDs press the button located on the battery pack inside the light up fedora. 2.Three flash mode: Random light flash, blink and steady light. 5.Include 2pcs replaceable CR2032 Batteries. 6.Our common package is 12pcs in a big polybag with a cap holder, then put in a inner box,24pcs for one carton,if you want 48pcs for one carton,we also will do it.